As you know from my whining lately, I’ve been filing and recording. This inevitably leads to leaping down rabbit holes and coming up an hour later wondering where the time went. One such side trip resulted in rediscovering this picture. In 2009 we held a conference in Springfield that I dubbed Pie in the Sky. After a day’s work the speakers assembled at our house for a meal and refreshments. It was a great experience and beneficial to area teachers who would normally have to attend a national conference to meet and learn from these headliners. 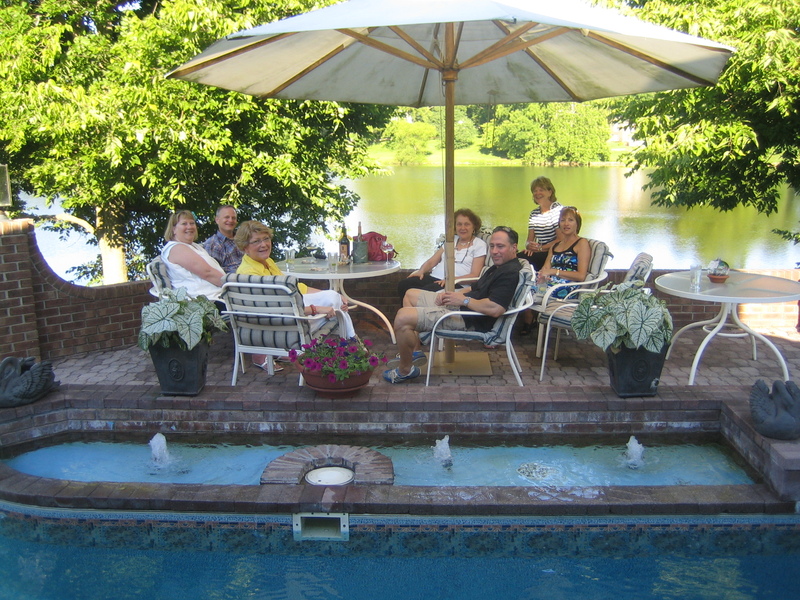 They are, from left to right, Ruth Culham, Lester Laminack, Aileen Wheaton, Laura Robb, Evan Robb, Sandy, and Mary Jo Fresch. Good times and good memories. There is something to be said for filing after all!